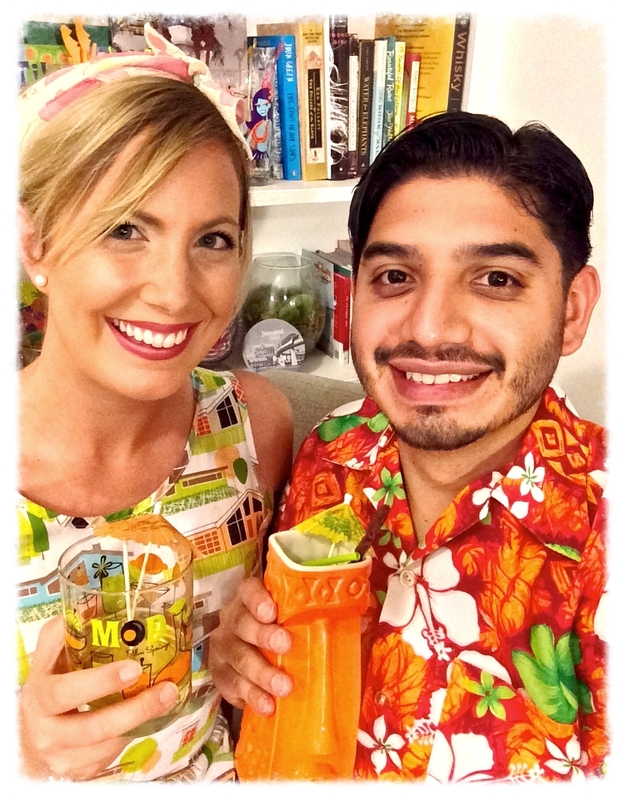 Happy Tiki Mug Monday! This week we really wanted to try out a new recipe that included Pimento Dram (it's basically all-spice flavored syrup that makes everything taste like Christmas) so we decided to go with the Ancient Mariner. We had to modify it slightly from the one we found on Beachbum Berry's Total Tiki app since we didn't have any white grapefruit juice on hand but it still came out great! Our recipe has also been doubled since our intent was to fill up a personal-sized bowl with this concoction. We got ours from the Tonga Hut in Palm Springs. This one is a little top-heavy so it's not our favorite...it resulted in a little mishap at the restaurant when I was a little too eager to show Greg the pearl I got in my Tonga Hut Treasure. Suffice it to say that I only got to enjoy about a 1/3 of my drink and felt pretty embarrassed about the mess! It looks pretty though! 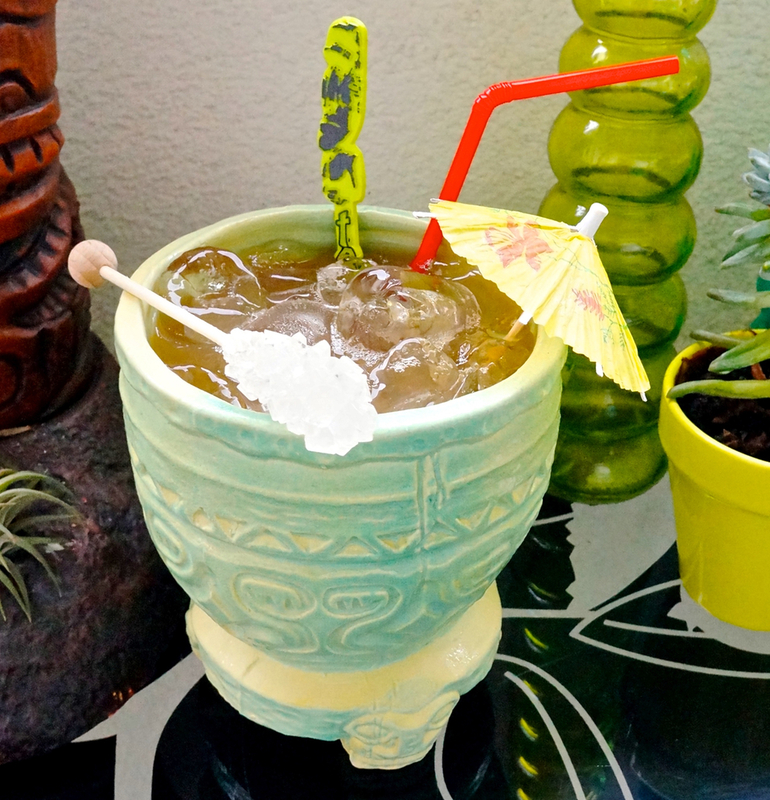 Shake until chilled and pour unstrained into your personal tiki bowl. Add extra ice to fill as needed as well as your favorite garnish (mint and lime should work well). We used two swizzles - Tonga Hut & rock candy.